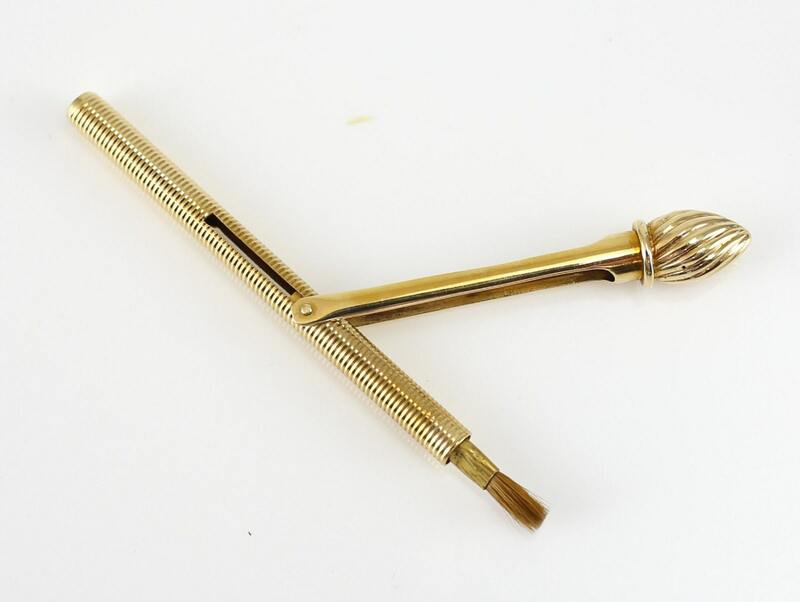 Vintage.....14k Gold Lipstick Brush Case / Hermetic Twisted and Ribbed Gold Lip Liner Brush . 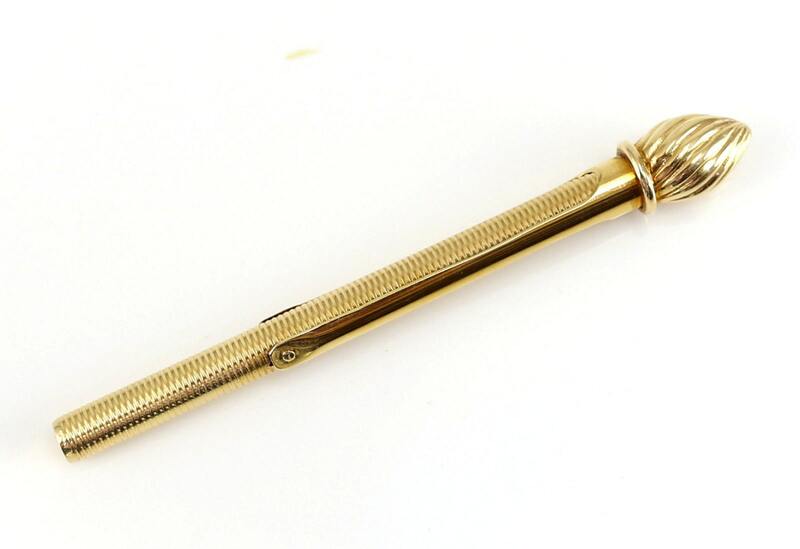 14k Gold Lipstick Brush Case / Hermetic Twisted and Ribbed Gold Lip Liner Brush . 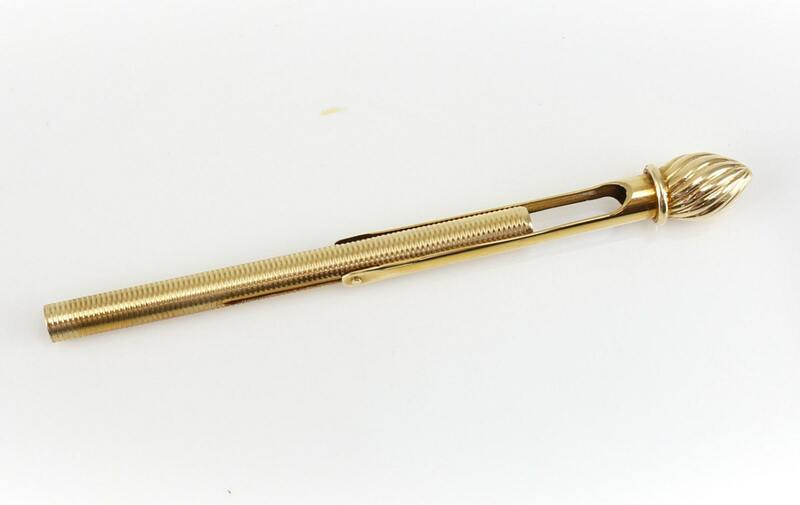 Condition: Great Condition with surface marks consistent w/ some use and wear. 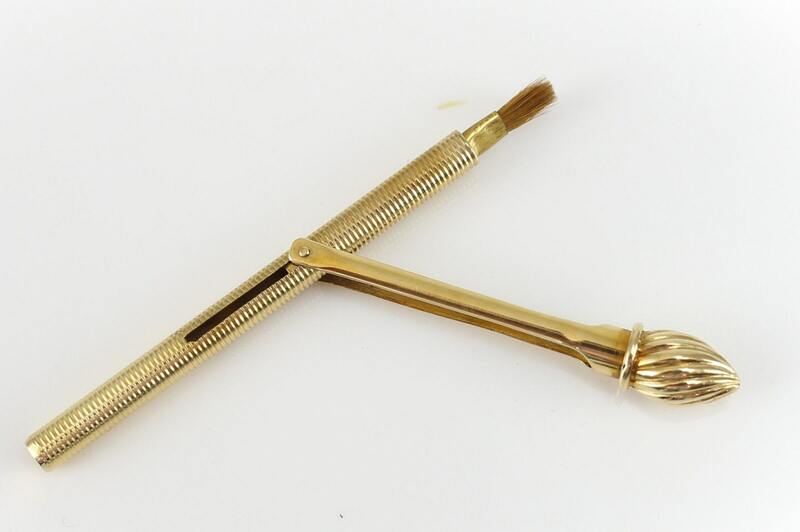 Some wear to the original bristles.